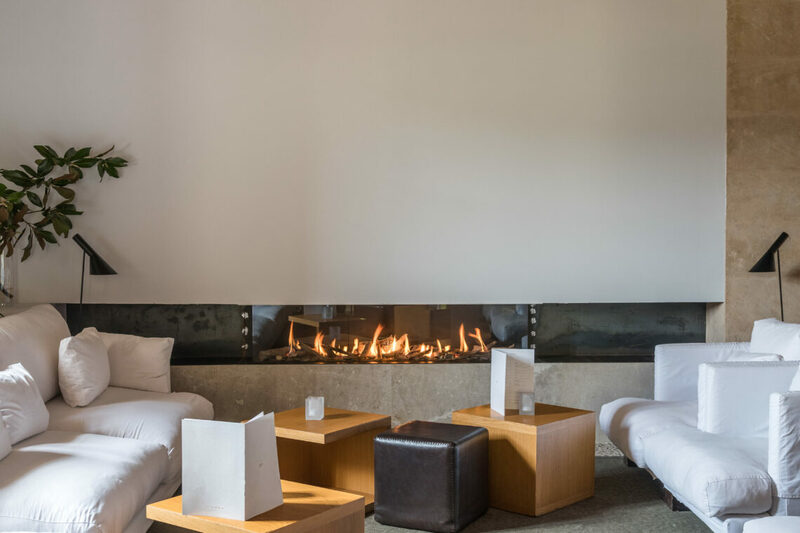 We love this hotel for its contemporary style and warm hospitality. 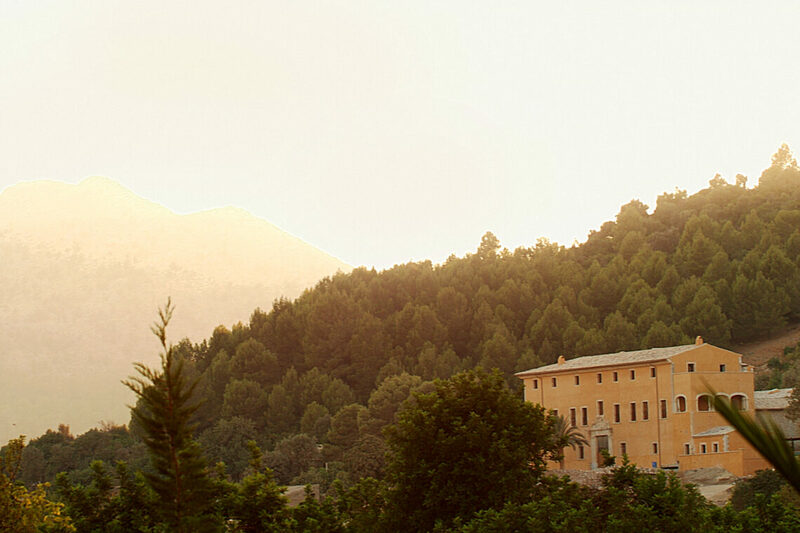 From its origins as an Arab farmhouse, and then a monastery, Son Brull has been welcoming guests since the 1700s. 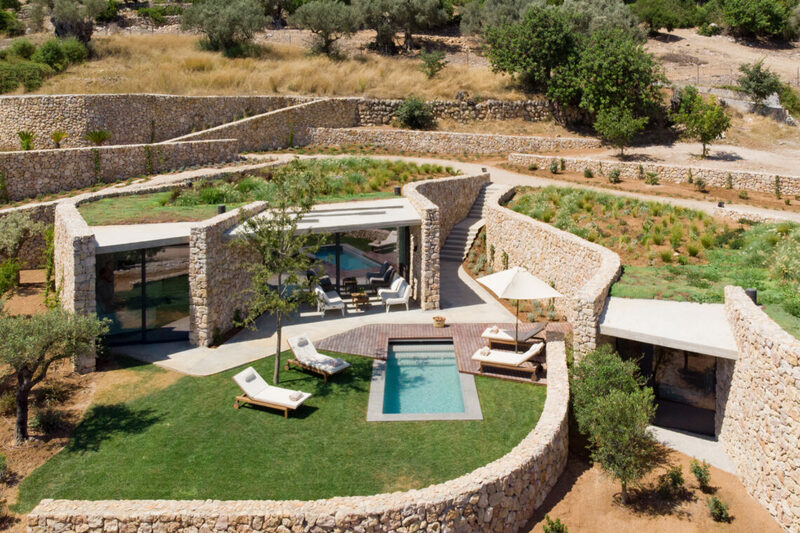 It is now a family run, sophisticated private hideaway, sitting in its own vineyard, olive grove and citrus orchard. 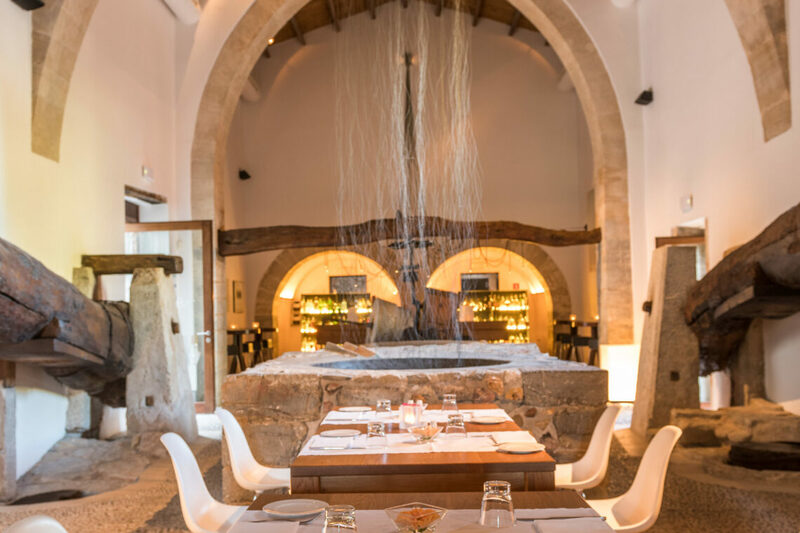 Stylishly restored, with none of its character lost, the emphasis is very much on traditional hospitality and attention to detail – the bar is set around one of the original olive presses. 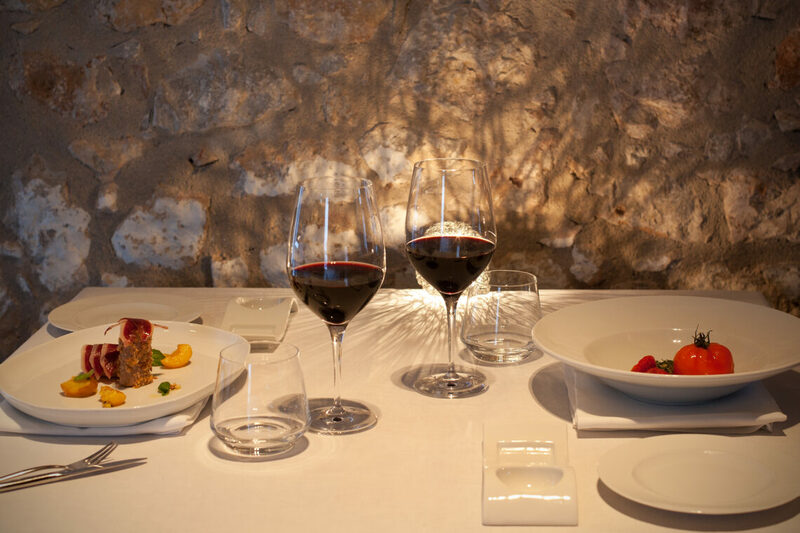 There are just twenty three, completely individual and minimalistically designed rooms and suites, and the Mallorcan born head chef, with his experience gained in some of Spain’s top kitchens, creates exquisite seasonal food from the hotel’s organic gardens and finca. 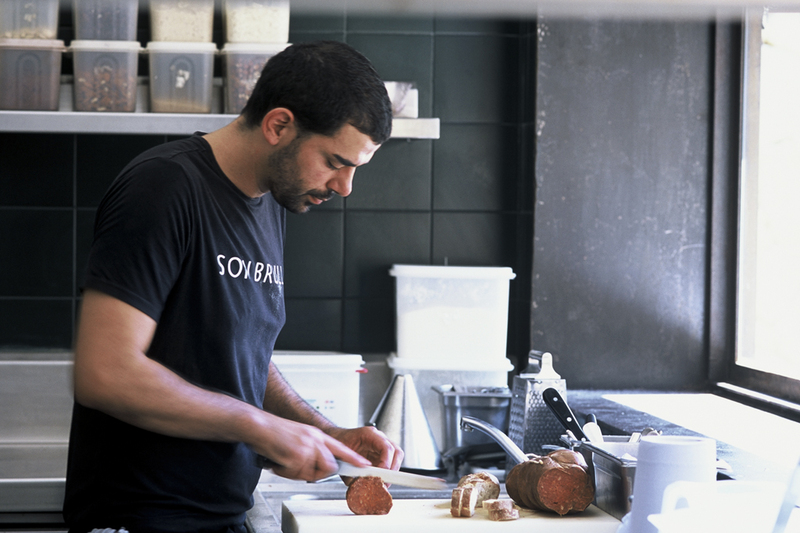 This is a place to savour, and so is the tapas. 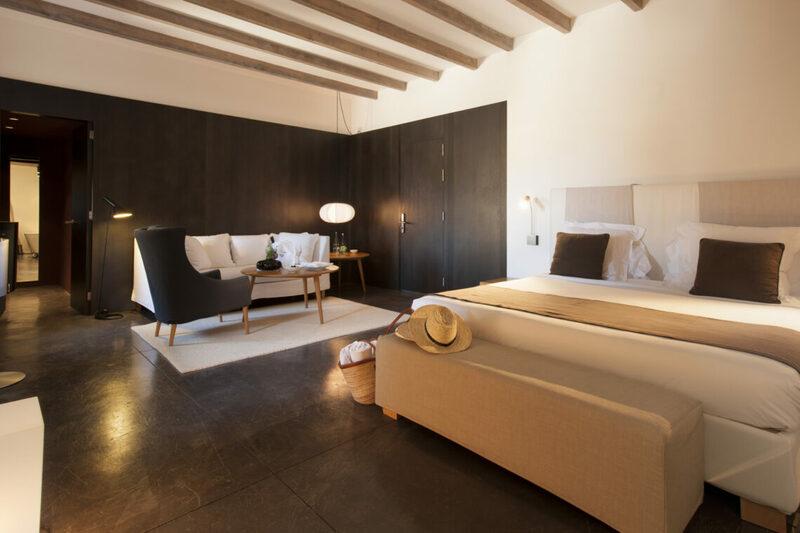 We love the rooms and suites at Son Brull – they are sophisticatedly designed and decorated with Mallorcan art, and incredibly spacious – and they all have individual character, being sympathetic to the heritage of the old monastery. They definitely tick the boxes for a romantic getaway. The Superior Doubles, with their views up to the Tramuntana Mountains are charming, with some of them having a whirlpool bath. The Deluxe Doubles are slightly larger (they can accommodate an extra bed) and look out of the mountains or the vineyards in the valley below. 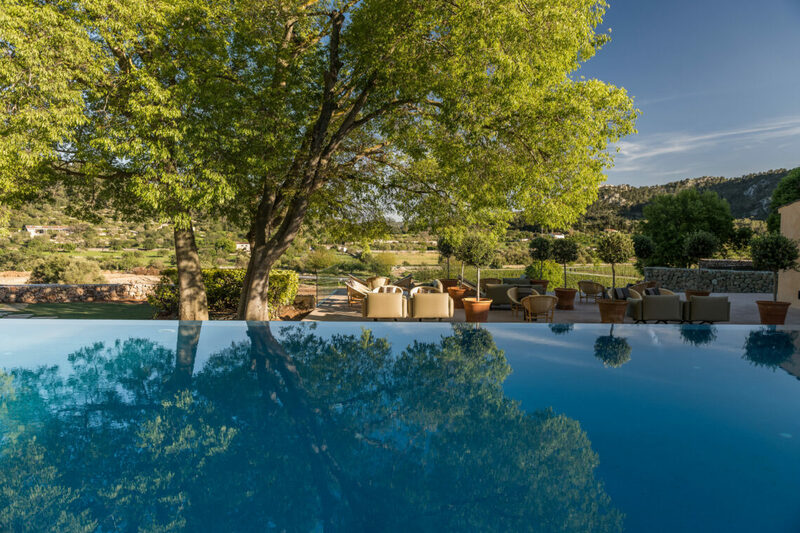 For a bit of extra indulgence, book the Double Deluxe with Terrace – with its covered outside balcony overlooking the pool and the views beyond. The Junior Suites are all very different, but nevertheless, very luxurious. Separate living areas, and some with a free standing bath, they also have plenty of space for an extra bed. Some have their own private terrace with sofas and Jacuzzi. Separately in the grounds are the Villa Suites – little havens of luxury. The architecture is stunning, as they fit seamlessly into the gardens, with their own private terraces and heated swimming pool. They have two bedrooms and bathrooms, so work well for a family. 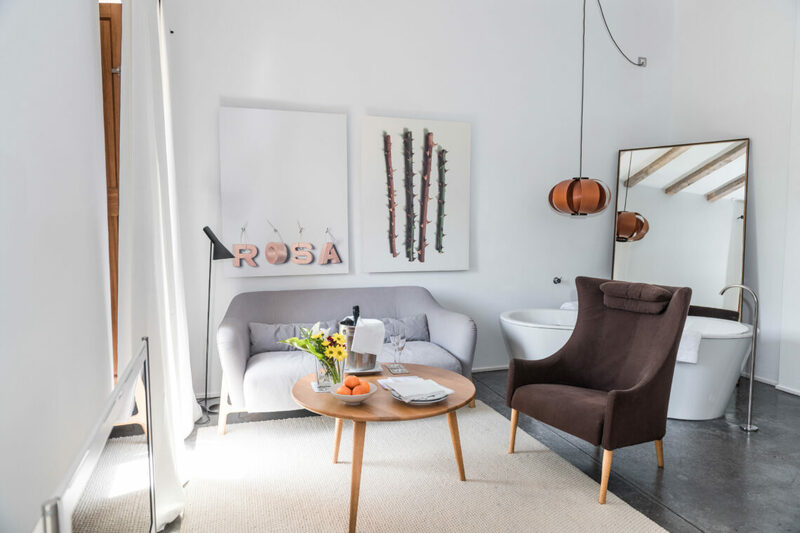 All rooms come with a kingsized bed (some can be made into twins); WiFi, Bang & Olufsen sound system, minibar, Nespresso coffee machine and air conditioning. And best of all, you get to choose from the luxurious Egyptian cotton pillow and sheet menu for the ultimate night’s sleep. 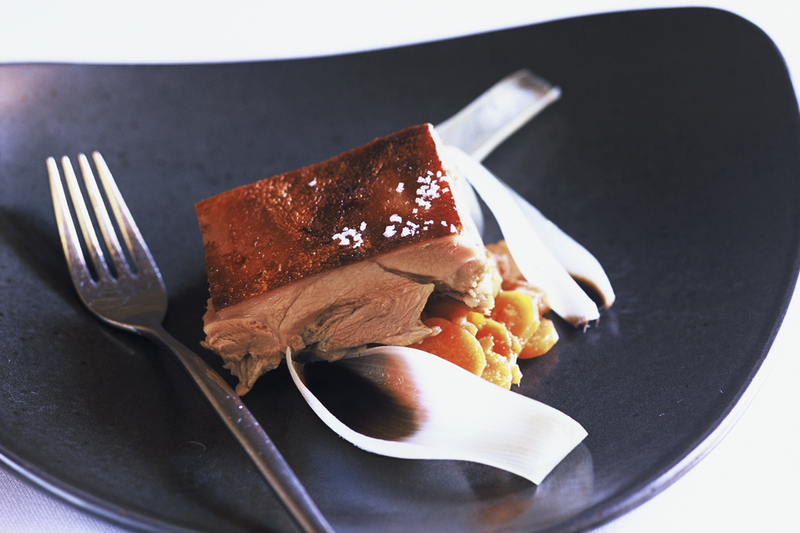 Son Brull’s signature restaurant has a reputation on the island as being one of the finest places to eat. Ingredients come fresh from the hotel’s own gardens and the mountains and sea beyond. 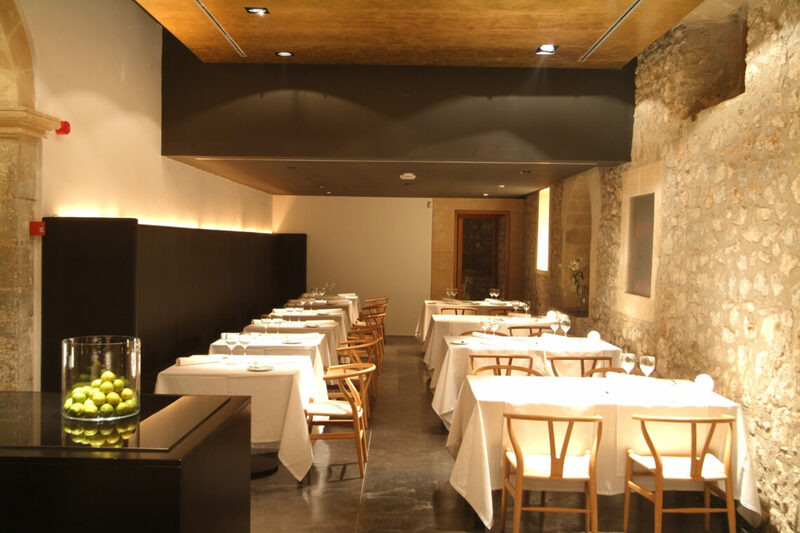 The cuisine is modern Mallorcan and thoroughly delicious. 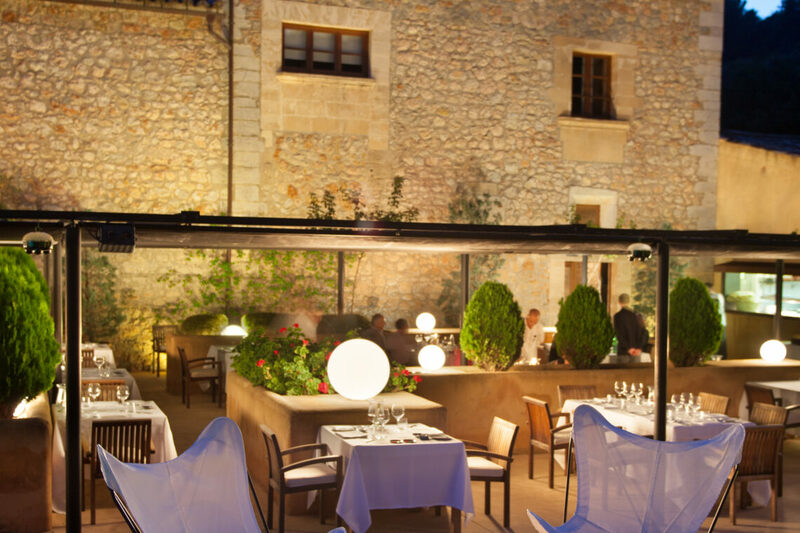 The restaurant is beautifully designed, and on warm evenings, there’s nowhere better to eat than outside on the terrace. 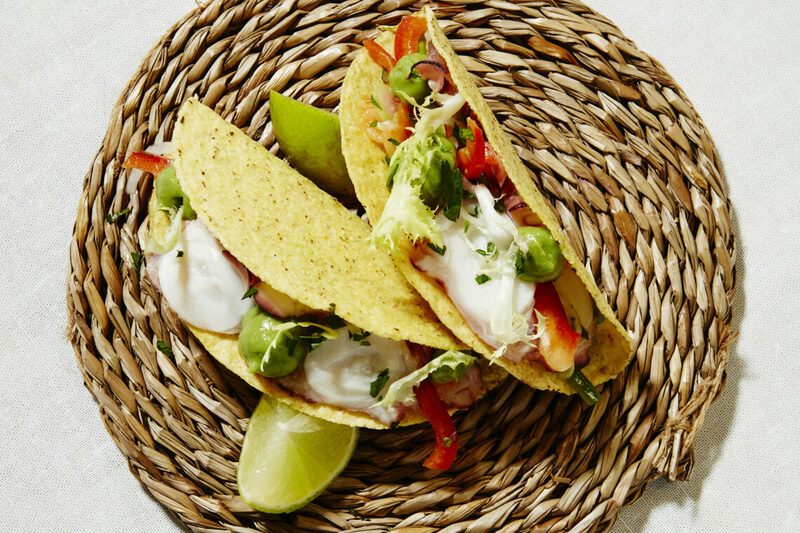 The Bistro offers less formal dining with the kitchen open for lunch and dinner and snacks by the pool. We love the tapas here. The bar also serves tasty snacks and does a mean gin and tonic. This is quite a grown up hotel, but children are welcome – the Villa Suites are ideal for families. There are babysitting services and cots and extra beds can be provided. Children under 12 are not allowed to use the main hotel pool, and children under 16 are not able to use the Spa or gym. 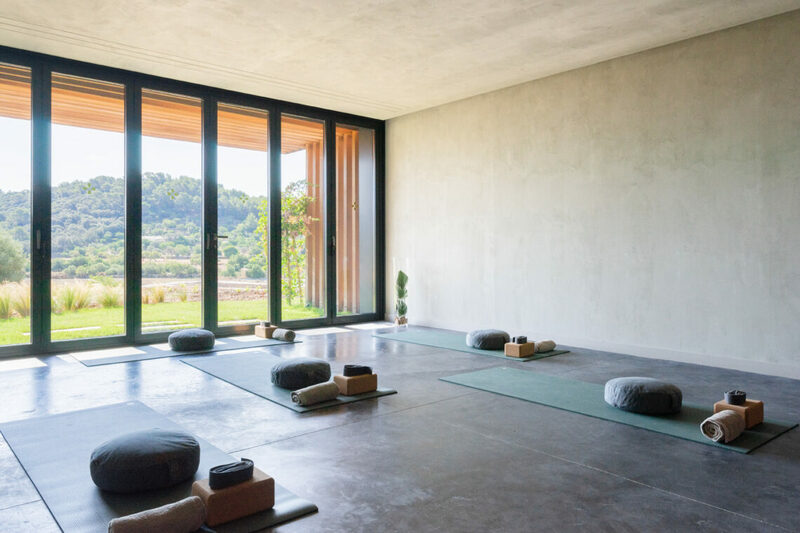 Son Brull is a very special place for a few days of rest and relaxation, and the thought of moving far from the grounds might be difficult. However, its location in the north of the island means it’s within easy reach of some beautiful beaches, the Tramuntana Mountains for walking and cycling, several golf courses, and of course, historic Pollensa. We advise hiring a car for exploring, although Son Brull has its own bikes for guests’ use. 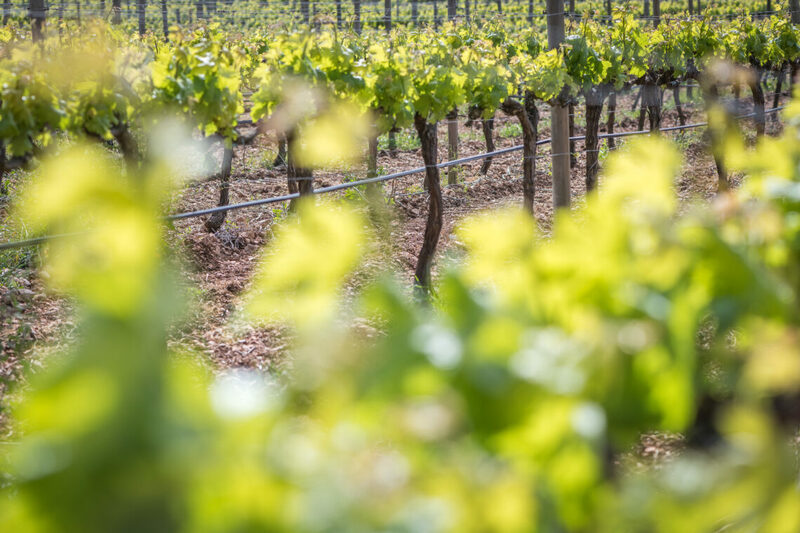 There are tennis courts on the estate and private tuition can be arranged; cookery courses, tours of private vineyards and the hotel can organise memorable experiences including hot air balloon rides and boat trips. For all hotel pricing and availability please speak to Philippa or Gemma on the phone (01306 264 005), or via email (hello@fishandpips.co.uk), or using our contact us page.